The Earth's crust - that outermost rocky layer of our planet - can be daunting to understand. To start with the vast majority (around 70%) of it lies under our oceans. The rest of the Earth's crust seems to be made up of this vast array of rock types or different chemical compositions and properties and of varying ages. Added to that is the multitude of ways those rocks types are squashed, bent, injected, and ground together. Just a trip to any road cut will most probably confuse the vast majority of non-geologists. So how can we create a story of the Earth's crust that helps the 'average Joe and Jane' to understand our amazing planet? Metamorphic - those rocks that have formed because rocks have been put under huge amounts of pressure and/or heat so that they have been 'cooked' and changed their nature (e.g. slate, marble, gneiss). Earth's crust - how these all fit together. The Earth's crust is made up of a mixture of all three of these rock types. However, their distribution is not even - and in fact it is quite remarkable how they are clumped together. The vast majority of the rocks that we see above sea level - the rocks on the continents - are a good solid mix of all three of the rock types. Any walk across a continent - either literally, or by looking a geological map - will find you examples of each and every type of rock you can imagine. You will find granite and sandstone, marble and basalt, gneiss and shale and slate and conglomerate. 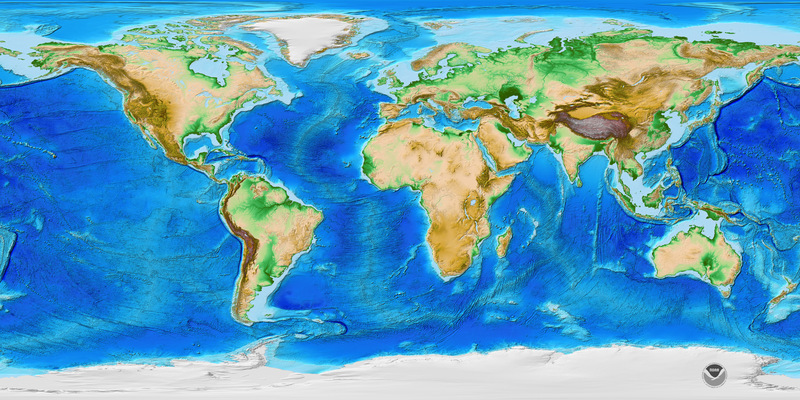 These areas of the Earth's crust that contain all the rock types are known as Continental Crust. The continental crust can be up to 35-40 km thick. If you could drain off all the oceans and walk across the oceans vast plains you would a thin layer of mud and slime that has formed from all the dead ocean creatures and mud washing off the continents. Yet below that layer you will find one rock type....JUST ONE! It is an igneous rock that we know as basalt. Basalt is black, dense, fine-grained igneous rock that forms from the melting of the upper layer of rock material that exists just below the crust. Dig a little deeper and you might find a courser-grained rock - but its chemical composition is the same as basalt. So basically the vast majority of the Earth's crust - that 70% below the oceans - is one rock type. Basalt! This is what we call Oceanic Crust. Oceanic crust is only 5-10km thick. Now the boundary between these two crust types may not be just at the ocean shoreline. In some places the continental crust extends way out under the ocean from the land and form what we call a continental shelf. The oceans are not very deep over these shelves, and when you move off the continental shelves into the really deep water - so-called abyssal plains of the oceans - you are onto oceanic crust. ← Field Boots – an essential piece of equipment.